For the elite athlete, the camp concentrates on specific skills for each position, game preparation, and tactical awareness. It is for players who have several years’ experience in competitive play and who want to refine their skills and tactical awareness in order to play at club or university level. The week long camp will test the athlete in a high intensity training environment under the watchful eyes of our coaches. The VbDC Elite Summer Camp is designed for players aged 15-18 years who have demonstrated exceptional ability in volleyball and who have made the commitment to pursue their sport to National League, university scholarship, or advanced club level play. These players will generally have at least 4 years of competitive playing experience and possess a high level of fitness in order to manage the training regime and have a well developed sense of the tactics and strategies involved in the game. The Elite Summer Camp is lead by the head coach who has been recruited for their proven expertise at a nationally recognized level. Athletes will each receive an individual assessment and recommendation for development targets. 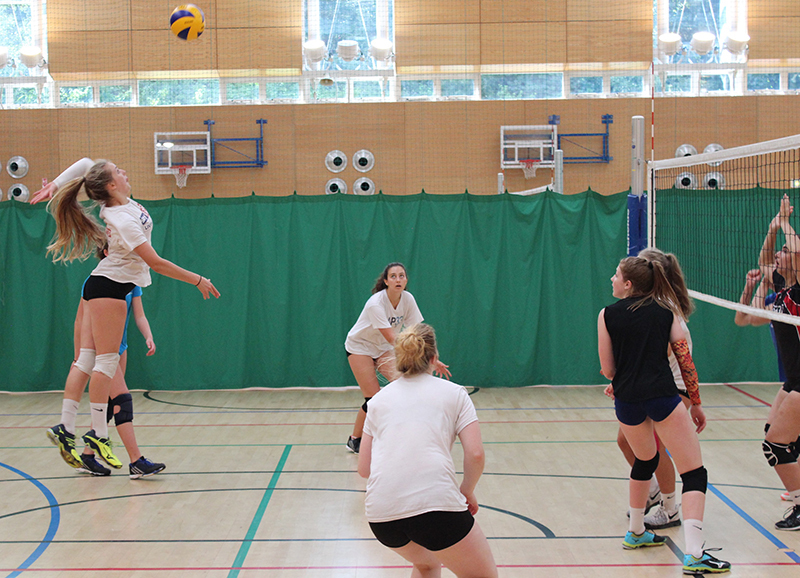 The camp is held every year in mid-August in plenty of time for the start of the start of the volleyball season. The venue is chosen for it’s outstanding facilities and record of hosting International and National league volleyball matches. The camp concentrates on advanced techniques and tactical play since participants will already have established a high level of skills needed in the game. The coaching staff will work with athletes on an individual basis to refine their game and working as an integral member of the team. At this level VbDC will look for athletes who demonstrate an intense competitiveness on the court. In order to get the most out of this camp the athlete must show a high level of coachability, communication skills and a willingness to take on board new ideas. To pre-register for this camp please complete the form below. We will contact you shortly to gather some further information about you, your playing experience and feedback from your present coach.